This week was a better week in FFM-land, in general, as the WRs started popping again…Cooks, Tyreek, etc. Fantasy-life is pretty much coming down to whether you have Tom Brady or not…because QBs don’t matter, you can get one any time in the draft. You think anyone will change their tune on that after this season? Probably not. The Top 5 Trade For/Away, Waivers, etc. will post later today or more likely tomorrow morning. -- The Jags DST had a bad third quarter in Week 2, partially because of the bad offense… and the dam broke and they had a bad FF game. Killer Week 1. Killer Week 2 for a half. Killer Week 3. Like we've said… top 1-5 defense in the NFL going into this season. Better than I expected so far. Jags DST v. Jets next week!!!! The Jags are going to win 9-10+ games this year, potentially. After the Steelers Week 5, you can start the Jags with pretty good confidence every week the rest of the season. -- Run from this Baltimore Ravens run game. It was already a cluster prior but without top OL Marshall Yanda… this whole thing collapses. -- Allen Hurns… two straight weeks with a score. I don’t see any great effort/affinity from Blake Bortles to get Hurns the ball. Hurns is a WR3, but if you can trade him hot in a multiplayer deal... that's not crazy. -- Brent Grimes was a late scratch, the Bucs’ best CB, and Thielen-Diggs took advantage. Honestly, Adam Thielen may be the best pure WR in the NFL. He's unreal to watch at work. If Minnesota ever gets an offensive head coach... watch out. -- Like I said/feared/hoped against at times… O.J. Howard is screwed here. One catch for 12 yards on one target. He isn't even a thought in the plan by Jameis Winston. -- This was why Jacquizz Rodgers was on our 'sell' (for whatever you could get) list last week. Bad matchup, limited talent, Doug Martin is back after one more game out. -- Julio Jones (7-91-0/12) now has just 2 TDs in his last 11 regular season games. -- Last 13 games, Golden Tate (7-58-1/11) has 95 catches and 5 TDs… Julio has 77 catches and 3 TDs in his last 13 games. -- Ameer Abdullah (14-47-0) has still never rushed for 100+ yards in a game in his career. I have no idea why he's still a thing people care about in fantasy. -- Rashard Higgins’ follow-up to his big Week 2… 2 catches for 10 yards on 6 targets this week. Just like I thought after analyzing his performance and his future last week. It's not as much him as the situation. -- Isaiah Crowell has had zero TDs in a game in 10 of his last 11 games. -- IDP LB John Simon (6 tackles, 2 TFL, 1 sack) has 5.7 tackles, 0.67 sacks, and 1.0 TFLs per game in 2017. -- If you missed it... Tarik Cohen's (12-78-0, 4-24-0/4) first run in OT was a 78-yard TD. An amazing run. He was ruled out of bounds halfway into it, but replay showed his heel did not come down out of bounds… the replay didn’t overrule it. 10+ FF points yanked away. -- Ben Roethlisberger is continuing a pattern Colin Cowherd pointed out recently: Big Ben's numbers on the road are getting worse and worse. AT the Ravens next week. Now, nine straight regular-season games under 290 yards passing in each game. 9 TD/8 INT in his last nine road games…and no 300+ games. -- Markus Wheaton's debut…no catches on 2 targets, and a drop. -- Ted Ginn (2-44-1/3, 1-15-0), the leader in 'almost' TDs this season… finally caught a TD pass (after almost running for one earlier in the game). He's really not a big part of the passing game plan. Willie Snead returns this week. Head for the hills on Ginn if you want in a 12-team/15 man roster if you want. He might matter ahead but so far, I've not seen anything that makes me feel great or bad about him right now. -- Cam Newton as a passer this season... 2 TD/4 INT, 188.7 yards. Cam's either hurt still or checked out (as I have started to suspect) or a little of both. -- Paul Perkins, who is awful, 9 carries this week… Orleans Darkwa 7 carries. I keep thinking the Giants are going to give in to Darkwa as a kinda-sorta lead dog… but McAdoo will not quit Perkins, to his own demise. -- Eagles RBBC nightmare continues… 12 carries for Smallwood, 12 Blount, 6 Clement, 3 Sproles (hurt). Wendell Smallwood looked really good… but so did all of the RBs. I wouldn’t try to figure it out if you didn’t have to. -- Jamaal Charles 9 carries this week, C.J. Anderson 8. Not sure if this is moving to a split or not… but Charles did look pretty good. -- Bills rookie Tre'Davious White (7 tackles, 4 PDs, 1 INT) looks fantastic in coverage…and everywhere. 5.3 tackles and 2.3 PDs per game so far in 2017. -- Last two games rushing for LeSean McCoy... 26 rushes for 30 yards. He has 6.0 catches per game this season to offset that. He has yet to score a TD this season. -- Jay Ajayi had reported knee issues all week, and then limped around off and on during this game… just 11 carries for 16 yards. Possible cause for real concern…pulling Damien Williams into the conversation? -- Austin Seferian-Jenkins’ debut: 5 catches for 31 yards on 6 targets. He looked pretty good/in shape. -- Jets IDP LB Demario Davis (12 tackles, 3 TFLs, 1 PD) this season --10.7 tackles per game. -- D'Onta Foreman (8-25-0, 2-65-0/3) is the best RB weapon the Texans have, but he’s not getting the full respect just yet. He will soon, but probably a stubborn split because of the money sunk (read: 'pissed away') into Lamar Miller. Foreman is making his mark as a receiver as much as anything else. He had both a 34-yard and a 31-yard catch-and-run plays. -- If you consider passes that got halted at the 1-2 yard line a TD… Tom Brady might have 11-12 passing TDs already, not 'just' 8. He's on his way to 'one of those years'. -- NOW, I'm worried about the Patriots defense. Home against a rookie and just looked 'meh'. To be fair, Stephon Gilmore went out mid-game (and then things really fell apart), and Eric Rowe didn't play. Still, it's more bad tape versus good for the Pats defense. Cam-Winston-McCown the next three weeks makes me still on their side, but with much less enthusiasm. -- Chris Carson (11-34-0, 2-18-0/2) lucked out with a dump pass turned short TD jolt. Nice play, but this game represented why I advocated trading Carson hot last week. This is a bad situation for an RB to be in…a terrible, terrible offense with other RBs flying around like buzzards. -- Raise your hand if you benched Demarco Murray (14-115-1, 1-5-0/2) for Derrick Henry (13-54-0, 1-10-0/1) this week? Get this through your thick head: DeMarco Murray, unless incapacitated, is the Titans lead running back. Period. That last part was me speaking to me. I'm not pro-Henry at all, but I got sucked into the weekly news that Murray might not even be active. -- Jimmy Graham (7-72-0/11) might not play…or he catches 7 passes for 72 yards and has his first useful fantasy game in I don’t know how long. One or the other. I'm a seller. He still looks like he's walking on eggshells every play… gingerly running softly with no real spark. He tried to leap a defender in this game and barely got off the ground. That was telling. -- Joe Mixon (18-62-0, 3-39-0/3) is slowly/quickly taking over the Bengals' backfield. Under the new O-C, he had more carries than Gio-Hill combined (12 to 10) and equal targets with them (3 to 3). The 0-3 Bengals have no reason to mess around now. It's time to see what Mixon can do as a workhorse. It looks like it's starting now. -- Why do I like Ty Montgomery (12-35-0, 8-15-0/12) as an RB1 the rest of the season? 8 catches on 12 targets this week. Plus whatever he does rushing. He's the main RB working with an elite QB… that always means FF-scoring abundantly. -- Geronimo Allison was on his way to a quiet/useful 5 catch, 50 yards day but made a neat catch late and slipped through the defense and raced for a 72-yard play… giving him 112 yards on the day. He'll likely be a waiver guy of interest for many this week… not for me. -- God bless Kareem Hunt (17-172-1, 1-11-0/1). He's on a roll of a lifetime right now. He was on his way to a nice 100 +/- yard day with no TDs as KC tried to put the game on ice late…on a late carry Hunt popped through the line with no linebackers in sight and took off for a 69-yard score and another monster fantasy event. He's good, but not this good. Enjoy it while it lasts. It reminds me of that year when Jeremy Hill had a bunch of long TD runs in a short span his rookie season and became a fantasy asset everyone wanted. Whatever happened to that guy? Hunt is much, much better than Hill… but this excellent run he is on is not going to be close to holding up. -- Tyrell Williams (2-15-0/7)… you can give up in redraft if you want. This team, this offense is so sad/pathetic. Philip Rivers is fading away and only throws to Keenan Allen… and Anthony Lynn's game plan is a nightmare… the Rex Ryan coaching tree mindset. 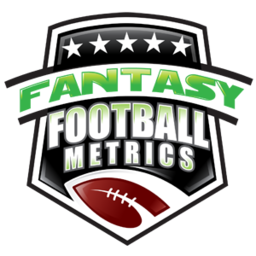 -- Hunter Henry had a nice Week 2 after a zero target nightmare Week 1. -- The was fun…watching Samaje Perine (19-49-0, 1-6-0/1) slam into the Raiders line over and over. Real innovative. I'll expand on my thoughts in the game recap, which will be the first one today, but the short version is – (in redraft) feel free to move on once Rob Kelley is reportedly going to play. If his hand is hurt and he's expected to miss a week ro two…good-bye in redraft. -- Chris Thompson (8-38-0, 6-150-1/7) will be the waiver guy of the week potentially. I'd buy it and sell it if I could. He's good but this is not going to last. He's not taking every flare pass for a 50+ yard score. He's going to be useful for your PPR but in an RB3 way, not RB1-2. -- Two WRs that look like they've died and gone to WR heaven/hell – Terrelle Pryor and Amari Cooper. Two guys you might not start next week in a Flex or 3WR set up. How the mighty have fallen.